WICHITA, Kan., June 27, 2018 /PRNewswire/ — Spirit AeroSystems [NYSE: SPR] today celebrated the expansion of its manufacturing operations in Subang, Malaysia, with the official opening of the site’s new logistics warehouse. The 50,000-square-foot facility will accommodate increasing volumes of assembly work on aerostructure components for commercial airliners. Officially opened by Spirit President and CEO Tom Gentile at an event with invited guests and Spirit employees, the expansion will free up other manufacturing space and improve the site’s capacity to rapidly build complex aerostructures for high-rate production programs at competitive cost. The warehouse is adjacent to other buildings on Spirit’s campus in the Malaysia International Aerospace Centre near Kuala Lumpur. The building and its supporting infrastructure have been designed with future expansion in mind, giving the company flexibility to eventually add another 75,000 square feet of warehousing space. 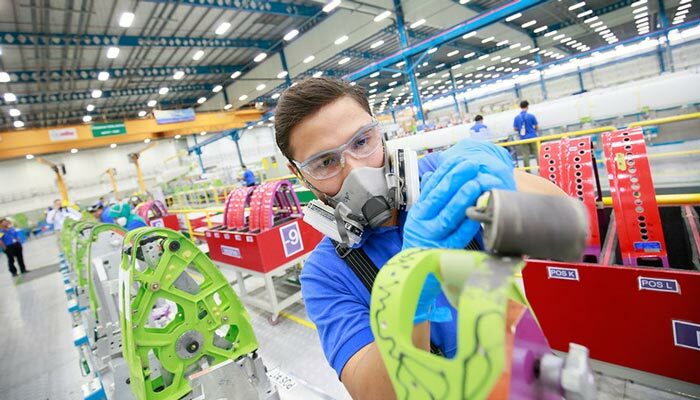 Be the first to comment on "Spirit AeroSystems Celebrates Malaysia Site Expansion"